We’d like to share photos with you that were sent to us by one of our customers. 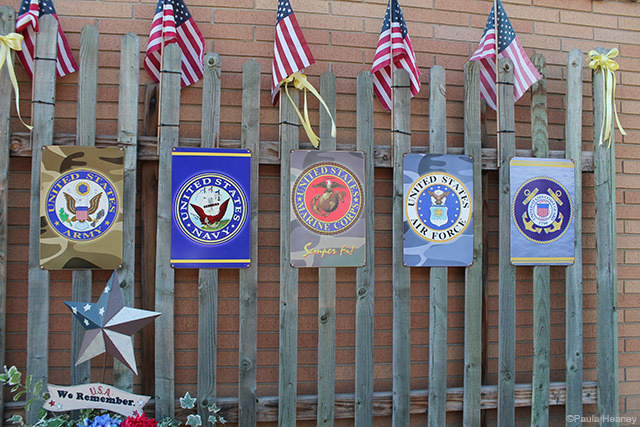 Paula Heaney of Linesville, Pennsylvania had a very special purpose in mind when she purchased five of our Military Insignia Signs, one for each branch of service in the United States Military. As the Chamber of Commerce President, Paula bought the signs to decorate the garden area in front of the post office in Linesville. This garden was created by and is maintained by the local garden club. 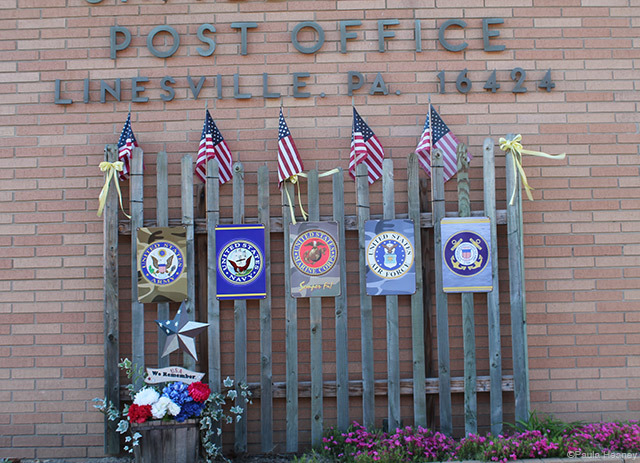 This Pennsylvania community is doing its part to honor and remember all who served and are serving. Whether for Memorial Day or Veteran’s Day it’s important for all of us to remember that Freedom Isn’t Free. 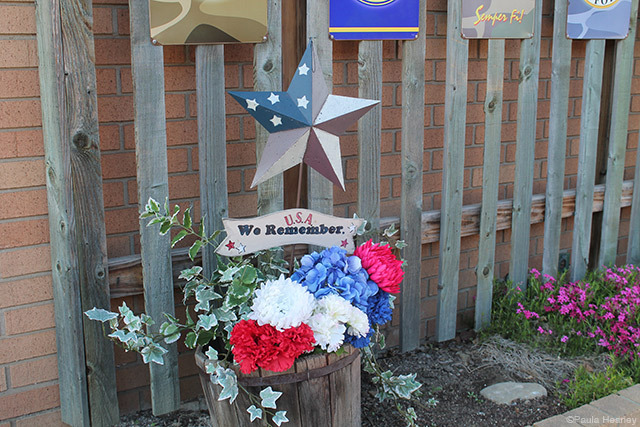 You can set up your own simple but meaningful tribute with some of our huge assortment of Military Metal Signs.